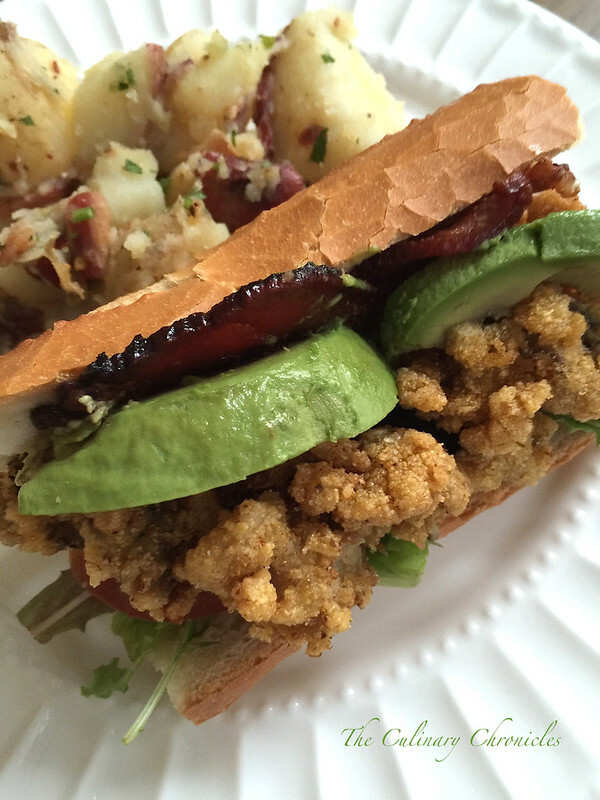 Sunday Family Dinner – Po’ Boys and Tarts… Oh My! Alright. Want to know why it’s taken this long to recap May’s Sunday Family Dinner? It’s because I was struggling for a week after it. Oh…and I should mention that it was due to the below shenanigans that started it all. 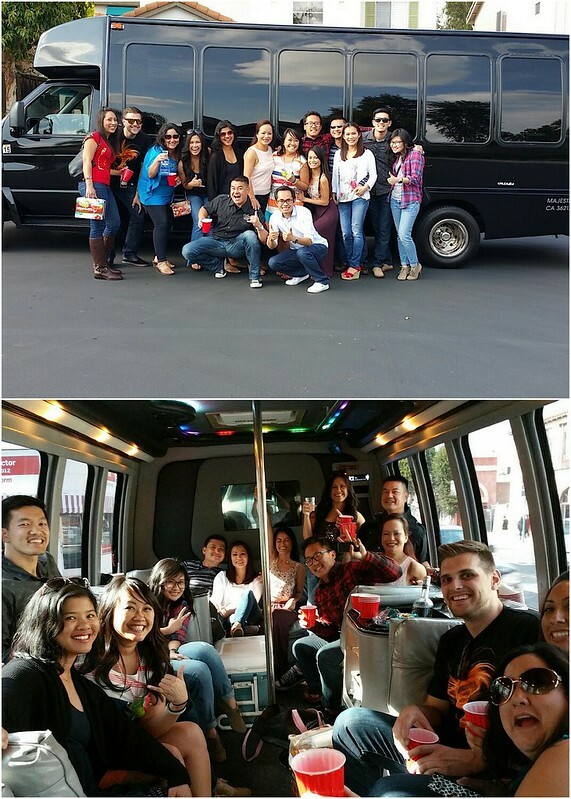 It was my birthday and this “thirty-something” bday gal thought it would be a “smart” idea to channel her old college self and hire a party bus to shuttle a bunch of her friends and family around for six hours……to, you know…..hang out. Let’s just say, a lot of mischief can occur when you have a party bus stocked with 2 coolers filled with libations and jello shots. We stopped at four rad local Orange County breweries: Bootlegger’s Brewery, Noble Ale Works, Bottle Logic Brewing, and The Bruery. It was a FAN-FREAKING-TASTIC time and we even made it out to a local spot for a few night caps and to shake our booties. Yes, friends…it was 11+ hours of what seemed to be endless escapades. Which is also why the STRUGGLE WAS REAL when we managed to get our act together the next day for Sunday Family Dinner. But luckily we had the foresight to keep things simple. Initially we had wanted to do something Surf and Turf but couldn’t really settle on one particular dish that we could all agree on. So, to satisfy my “turf” craving, seester T made these little decadent bites. Seared ribeye steaks that were then thinly sliced and stacked on top of toasted bread. But it was all about the sauce that she came up with…. a super rich Truffled-Pâté-Thyme Sauce. 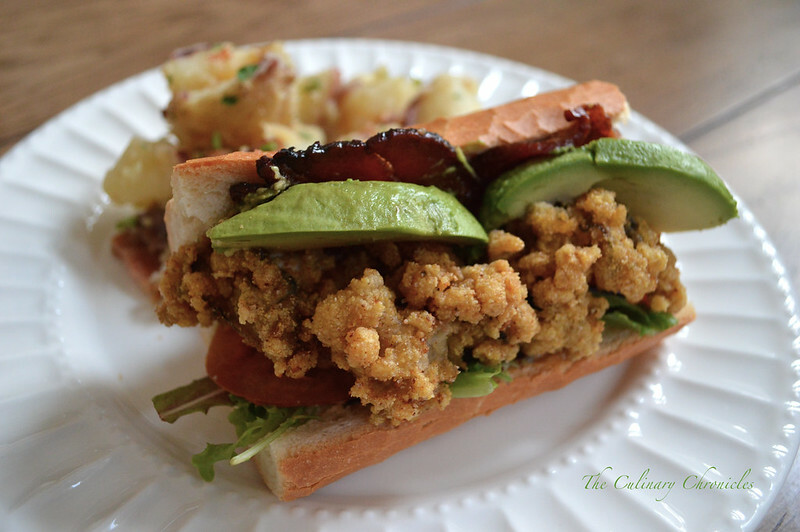 As for the “surf”….eldest seester suggested Seafood Po’ Boys and we were all about it! 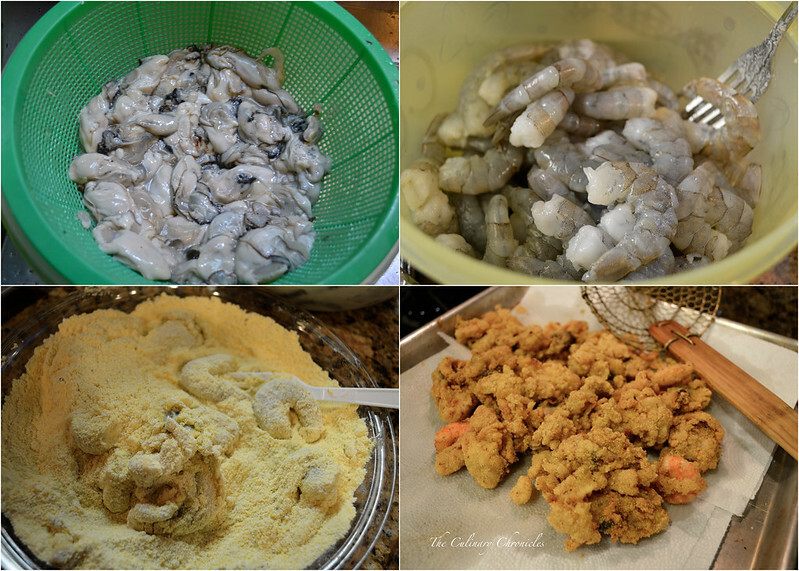 For the Po’ Boys, I ended up soaking a bunch of oysters and shrimp in a spiced buttermilk bath before dredging it in a cornmeal-flour mix. A quick fry for a minute or two and they were perfect! 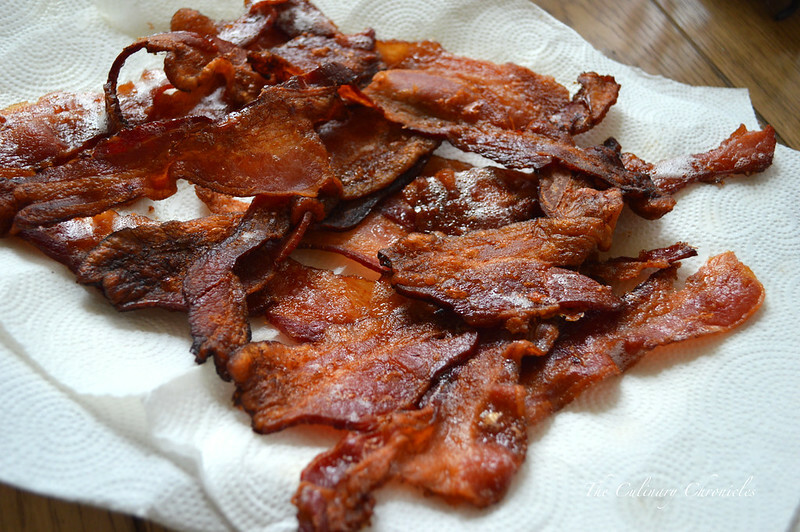 And of course, since it was my burf-day, there had to be bacon. Lots of it. To put it all together we schmeared a sriracha aioli inside a toasted baguette, mixed greens, ripe tomatoes, a few slices of creamy avocado, thick-cut crispy bacon and of course–the crunchy oysters and shrimp. Even HUNGOVER we knocked it out of the park! Perhaps it’s our superhero power…. Oh! And because I am a carb monster….there had to be my favorite starchy love– potatoes. 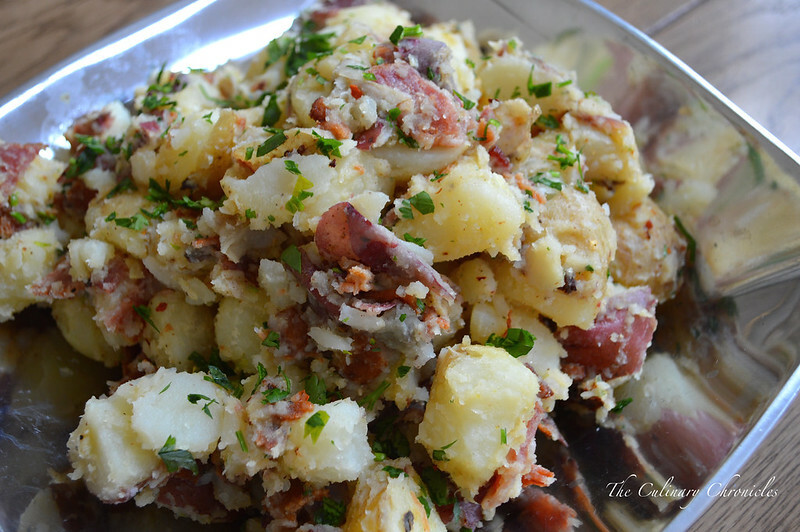 This time around, I opted for a German Potato Salad….. Potatoes, bacon….HEO YEAH! Especially when there’s not a heavy sauce. I slightly adapted the recipe from The Lucky Penny by adding extra herbs, chili flakes, chili powder and sriracha. As for a birthday cake? That’s not really not my thing despite how many birthday cakes/cupcakes I end up making. True….chocolate is my fav but a very close second is something with citrus. 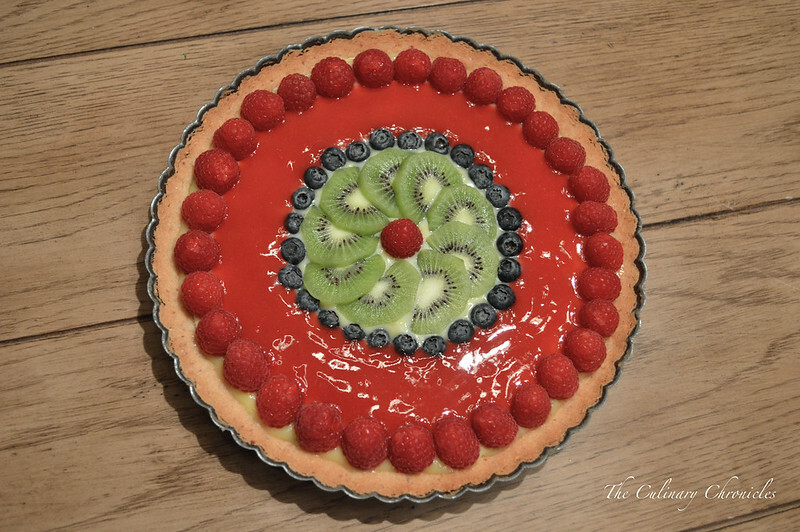 So eldest seester indulged me and made this fantabulous Lime-Fruit Tart. A buttery shortbread crust with lime curd, a cranberry sauce and fresh fruit. With that, dear friends, wrapped up the most perfect birthday-palooza. 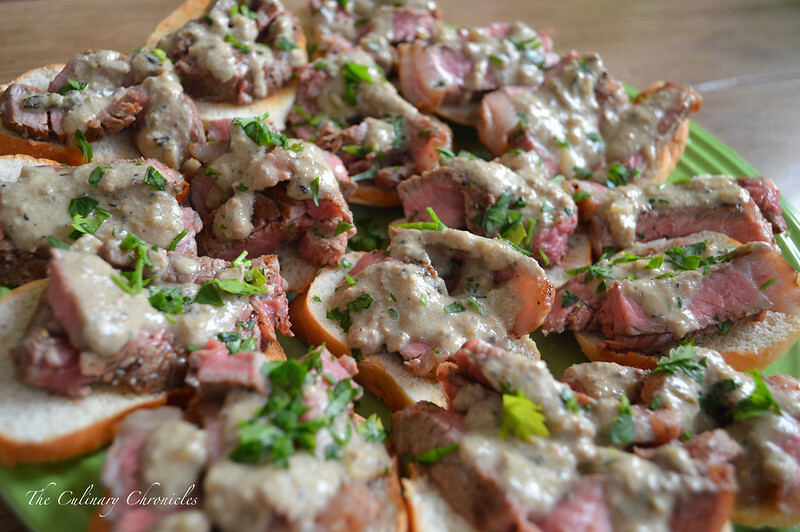 Appetizers: Ribeye Crostini with Truffled-Pâté-Thyme Sauce. Next Post Breakfast Tacos — Change Up Your Taco Tuesday! What a great way to celebrate your birthday! Happy belated birthday! Happy belated birthday, Nam! What an epic weekend you had, party bus and po’boys. How can you top that?! 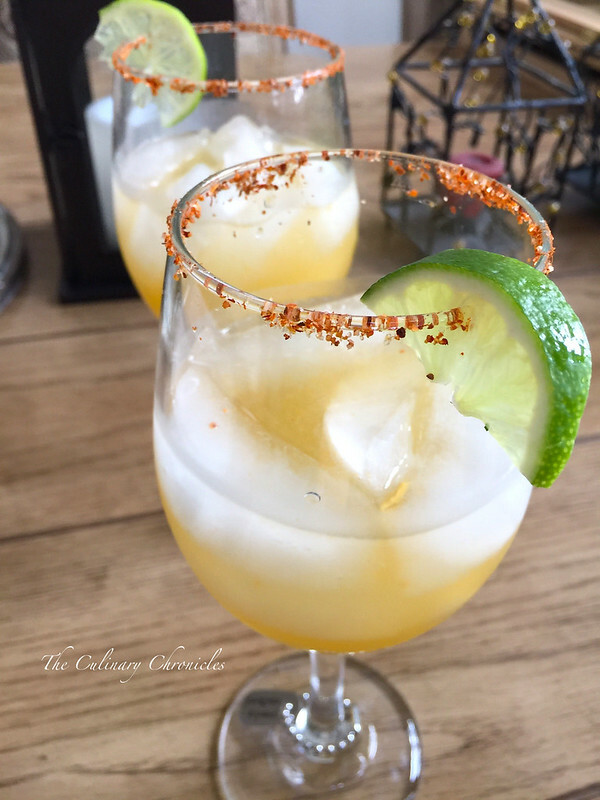 How do you access the recipe’s ! !